From amazing new bricks to designs that help people walk again, here’s what changed the world in 3-D printing in 2015. This year, Fast Company gave 3-D Printing it’s own category in the Innovation By Design Awards, to recognize all the ferment in the industry. The finalists and winner below all use 3-D printing to rethink major categories, from the way our buildings are constructed to the way movies are made. Congratulations to everyone, and a big thank you to our judges: Andrew Dent, vice president of materials research at Material ConneXion; Bre Pettis, cofounder of MakerBot and founder of Bold Machines; and Bradford Shellhammer, founder and CEO of Bazar. And finally, a sincere thank you to everyone who entered and supported Fast Company‘s commitment to elevating the design profession. These bricks combine 3-D printing and ceramics, and because they don’t require a mold, can easily be built into unique patterns. The resulting bricks can be far more complex than the usual rectangles we build with — x-shaped bricks, for example, or interlocking honeycomb segments — opening the door to new innovation in architecture and design. An animated short film that follows a ukelele-playing girl chased through a dark forest by the monster that emerges from her own shadow. Every frame of the film was separately printed by a FormLabs Form1+ 3-D printer, making it the world’s first 3-D printed film. All in all, the short required 2,500 different figures to animated, which in turn took over 6,000 hours to print: a stunning amount of care for a short film that only lasts a few minutes. The lab’s Puzzle Chair uses small 3-D printed parts to build affordable, time efficient furniture. 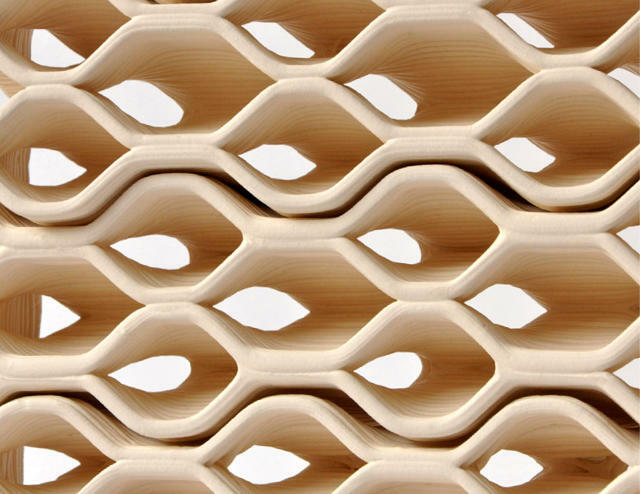 This isn’t just 3-D printed flat pack furniture, though. Each chair is designed to be printed out and then constructed out of an array of jigsaw-like bricks. And the design is surprisingly stylish: for around $30 bucks worth of material, you can download the plans and construct a chair that looks every good as a Verner Panton classic. Most 3-D printers are expensive and have a steep learning curve. The MOD-T was designed to be different. It uses a 2-axis motion system to print out objects, which also helps keep the MOD-T easy to use, reliable, and affordable. It’s a system aimed at beginners, from the low sticker price (just $399) to MOD-t’s user-friendly suite of apps, which includes a curated 3-D marketplace. 3-D printers have mastered the art of reproducing cheap plastic trinkets, but the day when you can 3-D print an iPhone at home is still far off. The Voxel8 is bringing it one step closer, though, by allowing you to seamlessly embed electronics into a 3-D printed object, printing out ‘wires’ of conductive ink and then seamlessly embedding them in a larger plastic chassis, all as part of the printing process. Voxel8’s ultimate goal is to enable the mass customization of electronic devices, but even right now, the technology can be used to print out your own quadricopter at home. Hemiplegia is a total or partial paralysis of one side of the body that makes it impossible for patients to walk, because their feet can’t stay in a natural, 90-degree position. Orthotics help, but they are invasive, difficult to wear, and can not be custom fitted; the patient adapts to the orthotics, not vice versa. Windform is a system for 3-D printing customized orthotics to help the mobility of hemiplegic patients, allowing them to walk again.